Aubrey Business Fair Open For Business! 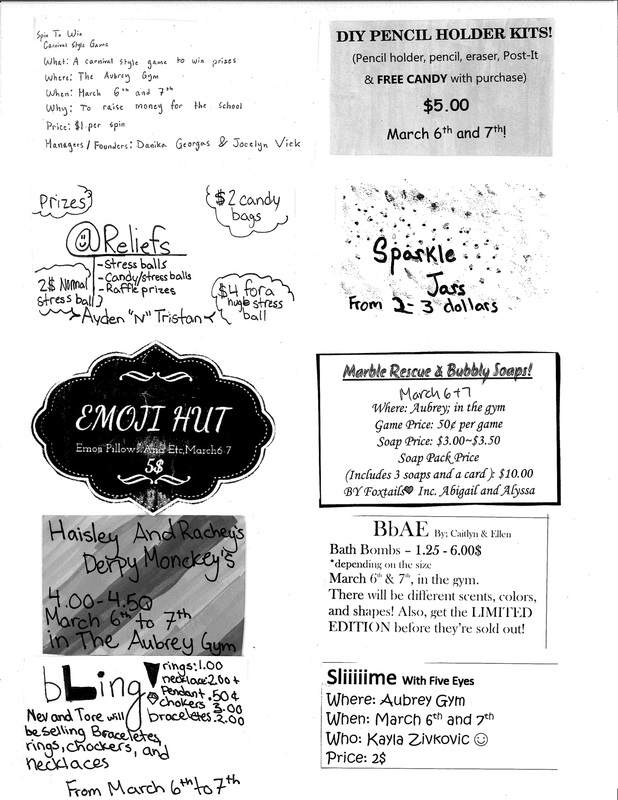 Students in Divisions 1 and 3 have been learning to be young entrepeneurs, and will be marketing their wares at their Business Fair on Monday and Tuesday, March 6th and 7th. Some students have created business cards as a marketing tool – please click here to see them. Students will get an opportunity to shop at the Business Fair with their class during the school day. Parents are welcome to come and shop at the Business Fair any time during the hours indicated below. We look forward to seeing you, there!